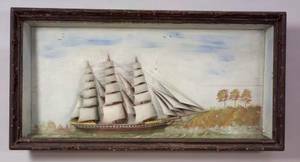 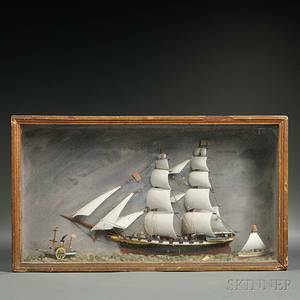 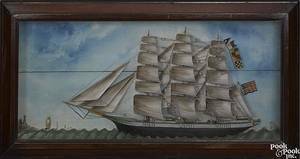 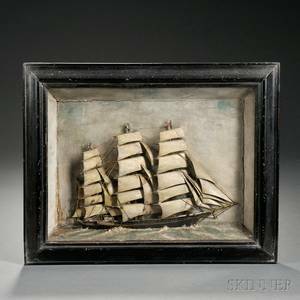 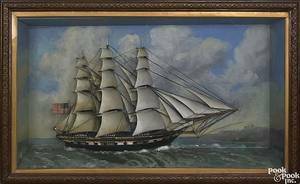 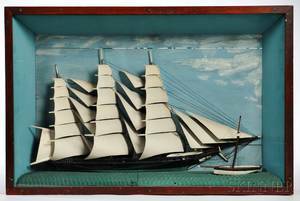 Carved and Painted Ship Diorama in a Shadow Box Frame, America, early 20th century, showing a three-masted vessel under full sail flanked by a smaller vessel on chip-carved water, ht. 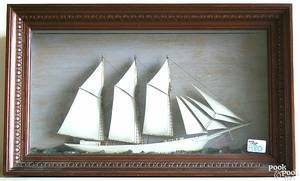 22 1/2, wd. 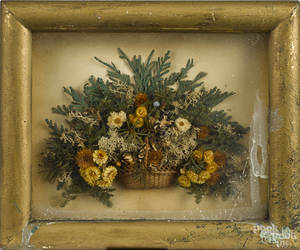 34 1/4 in. 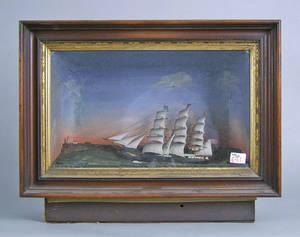 Victorian carved and painted fan enclosed in a mahogany box.